All pipework carrying liquids necessitates moving parts, for starting up, quick (or progressive) opening and closing either manual or automatic. Equipment made from brass, steel stainless. 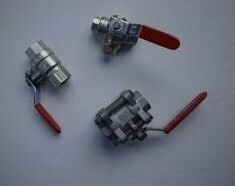 0 up to 100 bar, conic or spherical ball valve, needle valve. Three or four ways distributor.